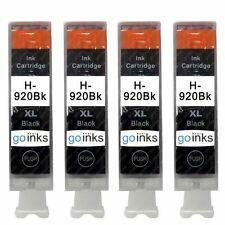 100ml Black Refill Ink. 100ml Cyan Refill Ink. 100ml Magenta Refill Ink. 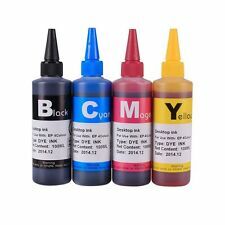 100ml Yellow Refill Ink. (Officejet 6000 6000 Wireless 6500 All-in-One 6500 Wireless 7000 Wide Format 7500A Wide Format 6500A e-All-in-One. COMPATIBLE PRINTER MODELS. We are not associated with any printer manufacturer. This is for a compatible product NOT an O.E.M product.). Officejet 6000 6000 Wireless 6500 All-in-One 6500 Wireless 7000 Wide Format 7500A Wide Format 6500A e-All-in-One. COMPATIBLE PRINTER MODELS. We are not associated with any printer manufacturer. Quantity: 10. Suitable for HP 920 Officejet 6000 7000 6500 6500A 7500 7500A printer. Most common printers that use this printhead are For HP 6000, 6500, and 6500A. Suitable:For HP 920 Printhead. 1 PC x Print head. 7000 7000A 7500A e-All-in-One Printer. We will be happy to resolve any issues you may have in a cordial and friendly manner. All products are quality checked. A comprehensive list is available here. From humble beginnings back in 2002 we created the first InkLink™ CISS™ unit based on a gravity flow system created in the USA. Rather than using a gravity based system, rihac developed a purpose designed and self-contained ink reservoir. HP920 XXL Black 1. HP920 XL Cyan 1. HP920 XL Magenta 1. HP920 XL Yellow 1. HP OfficeJet 6000. HP OfficeJet 6000 AIO. HP OfficeJet 6000 Wireless All-in-One. HP OfficeJet 6500. HP OfficeJet 6000. HP OfficeJet 6000 AIO. HP OfficeJet 6000 Wireless All-in-One. HP OfficeJet 6500. HP Officejet 6500 AIO. HP Officejet 6500 Wireless All-in-One. HP OfficeJet 6500A AIO. HP OfficeJet 6500A Plus e-AIO. HP920 XXL Black 2. HP920 XL Cyan 1. HP920 XL Magenta 1. HP920 XL Yellow 1. HP OfficeJet 6000. HP OfficeJet 6000 AIO. HP OfficeJet 6000 Wireless All-in-One. HP OfficeJet 6500. Part : Q6500A. Hp Laserjet 3390 All-in-One Mono Laser Printer. The Printer Broker Ltd is a supplier of printers, fusers and printer parts based in Bolton, Greater Manchester, UK.